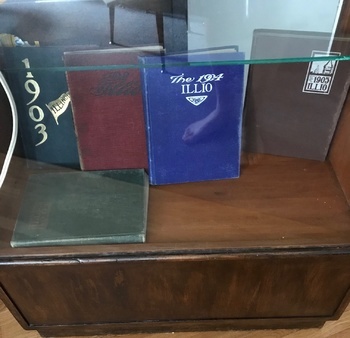 University of ILLINOIS year books. In Books > Show & Tell. 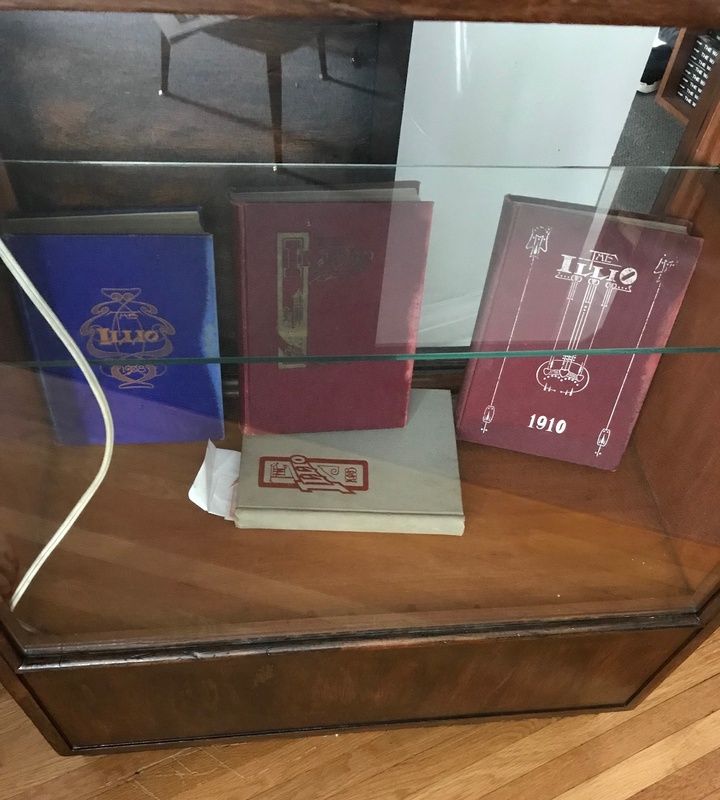 1900 to 1910 year books from the University of ILLINOIS. Lots of very nice illustrations in these books. I am a Illinois native(Peoria) and have been to the campus in Champaign-Urbana several times! By the way..The first 'Farm Aid' concert was held there. Great Post!! I grew up in Peoria and live in Bloomington, now. I graduated from the Library and Information Science program at the University of Illinois in 2014 so these books are a bit before my time. /me raises his hand -- another (west) central IL native here. :-) Galesburg and Rock Island were my actual street addresses when living up there but I visited Peoria frequently, and just recently helped move Mom & Dad to Bloomington (from rural Fulton Co.). 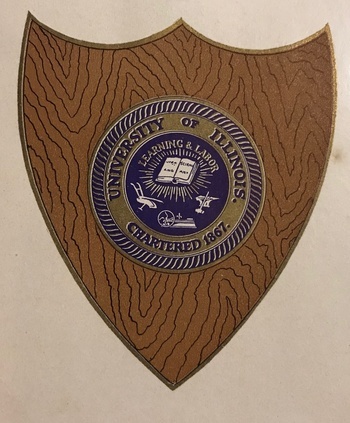 Never attended U of I (my sisters did) having spent a year in Macomb at WIU (Mom's alma mater) instead. kwqd, every time I see your username I can't help but to think of the call letters of the local TV stations I grew up watching, even though I don't think any of 'em actually match exactly...? Peoria..Home of Caterpillar Tractor, Richard Pryor and Dan Fogelburg..I know Galesburg well and the Quad cities. Graduated from Woodruff High in Peoria. I still visit periodically. Ahh...Memories! Hijacking this post for a bit, I guess. Sorry! @AnythingObscure - kwqd are my initials! @Thomas - I worked at Cat for year after getting out of the Army. All of the buildings with a connection to Richard Pryor were torn down long ago. I graduated from Manual High, joined the Army when I was 17 and escaped the Midwest for 18 years. Came back, went to Illinois State and U of I, now retired and thinking about mountains. Kwqd, Hello! My best friend growing up went to Manual High..My Grandfather retired from CAT...And yes..the buildings are torn down to do with Pryor...Gary Richrath, of R.E.O., grew up there as well..His Mother was a nurse..I grew up just down the street....It has changed there quite a bit..I go through about every other year..I still have relatives there in the Bartonville area. Kwqd...WWCT 106 was the radio station growing up! They were the first in Peoria to play album oriented rock...and still rockin'!! Kwqd, You see..you got Me hooked on ' My Hometown'..Peoria..I was born at St. Francis Hospital..'66 baby..Our first dwelling was Adams St...Lived in now called 'The Averyville' area on Sloan St..grade school was Kingman..right across the street..now a Church. Glen Oak and Detweiler were My Fave 'Parcs')(Thanks Vetraio for that language Arts lesson! Lol!..remember??). Went to Longfellow as well...was there when the film, 'Jo Jo Dancer' was filled. Grandparents lived on Madison, up from the Pepsi distributor.